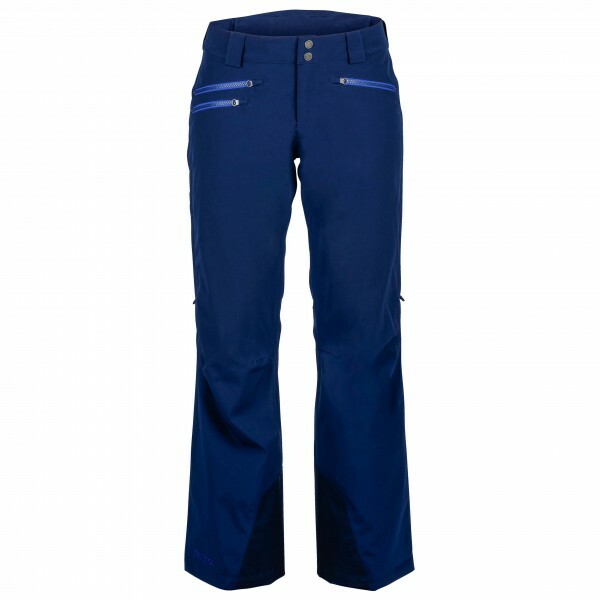 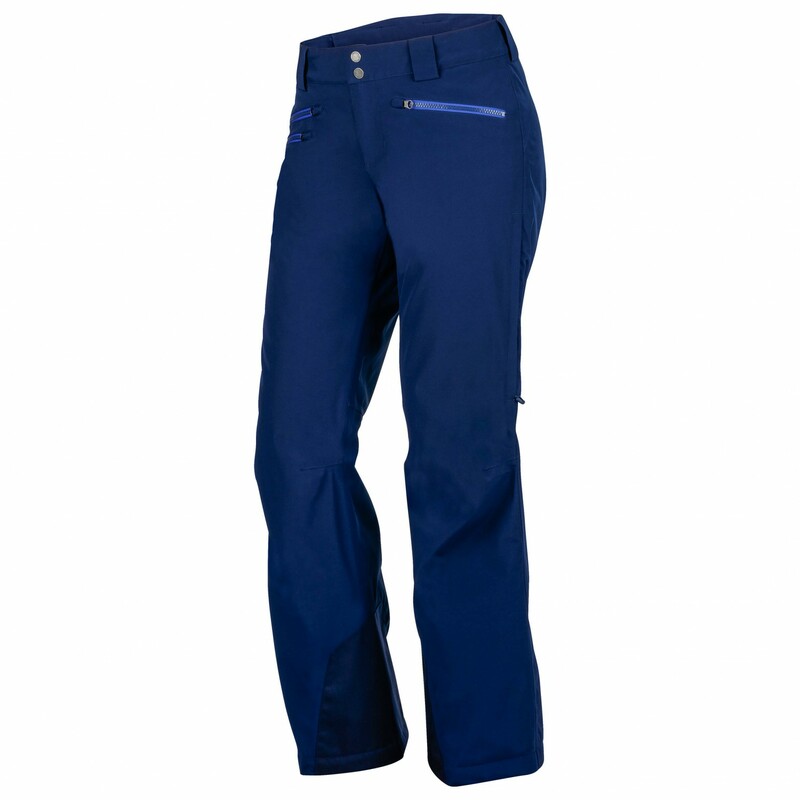 Stand out with the Women's Slopestar Pant by Marmot. 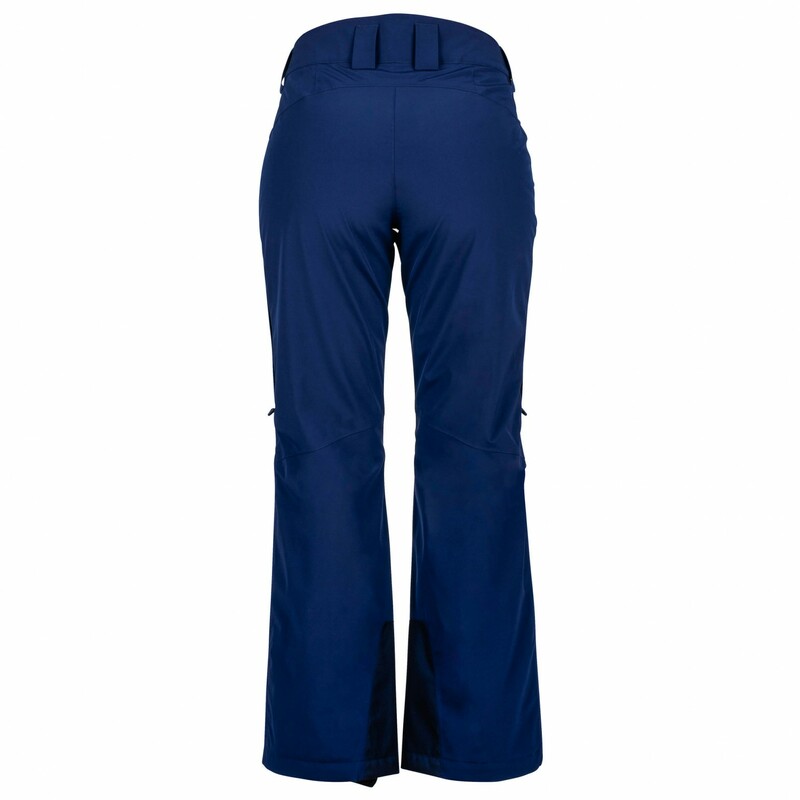 Its fully taped MemBrain shell provides reliable waterproof breathable protection, while Thermal R insulation ensures toasty warmth throughout winter. 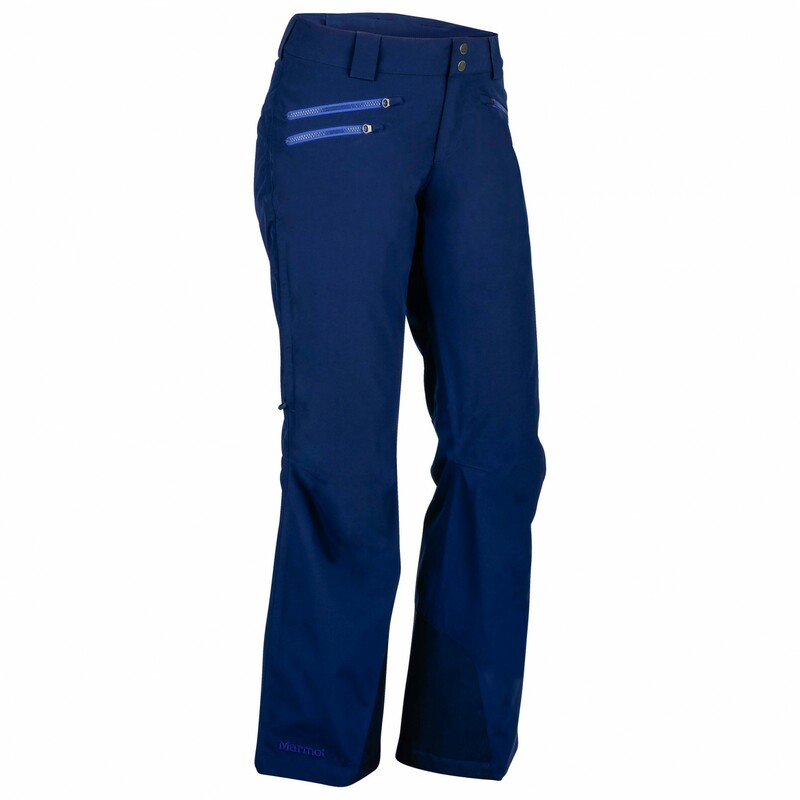 The flattering Slopestar also features internal gaiters to keep snow out of your boots, zippered leg vents to increase airflow, and Cordura scuff guards for durability. The knees and adjustable waist have a brushed tricot lining for smooth comfort, and there are four zippered pockets for gear and cold hands.